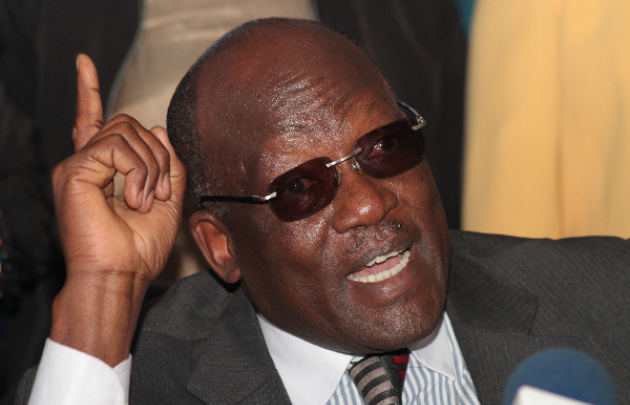 Saturday February 9, 2019-Machakos Senator, Johnstone Muthama has revealed the main reason why he is supporting the looming referendum initiated by National Super Alliance (NASA) leader, Raila Odinga. Speaking during a meeting at Komarock in Machakos County on Friday, Muthama said the current Constitution has many loopholes. He said it has denied Kenyans freedom. Muthama said he looks forward to the day when former Vice President Kalonzo Musyoka will become the Head of State. “We pray to God that his power is revealed, Kalonzo ascends to power with the others when we review the Constitution so that we create a Kenya where freedom is not for one person but for everyone,” Muthama said. During the meeting, Ukambani leaders affirmed their support for Kalonzo amid a rebellion from the three Ukambani governors. In a statement read by Makueni Senator Mutula Kilonzo Junior, the leaders said Kalonzo remains the only hope for the Kamba nation as far as the 2022 presidential race is concerned. They urged leaders opposed to Kalonzo to rethink about the same.